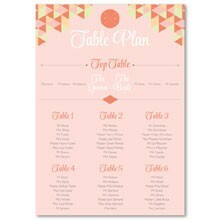 Choose from a wedding table plan from our great range, these look fantastic to guests when they enter your reception and keep a gorgeous theme throughout the day. 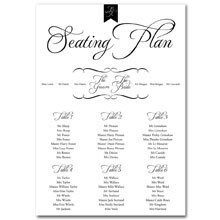 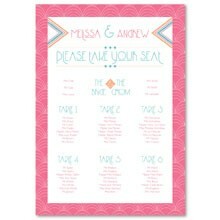 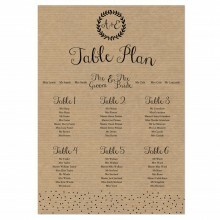 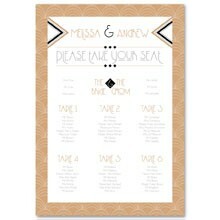 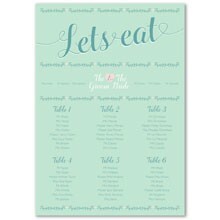 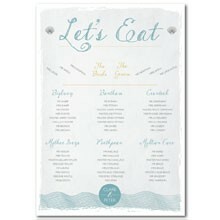 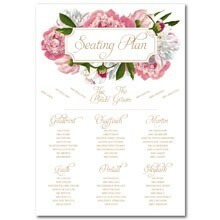 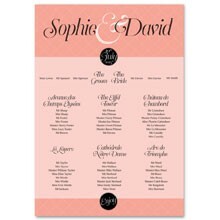 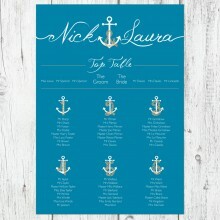 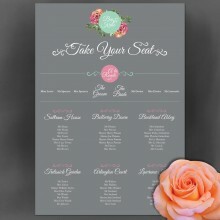 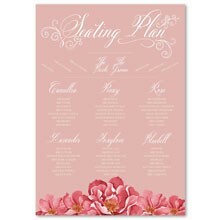 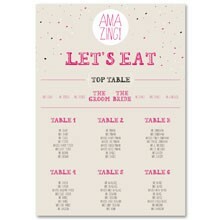 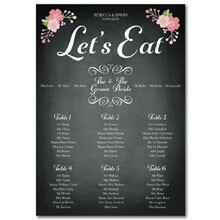 Pick a wedding table plan style and customise it to your requirements, such as change the wording, paper size and type. 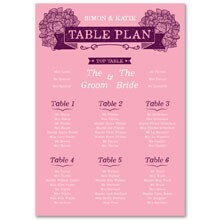 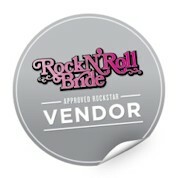 We also offer bespoke designs. 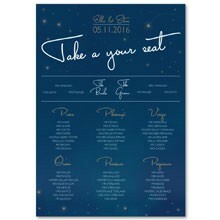 A recent client wanted her wedding table plan to be in golden text with modern icons for each table. 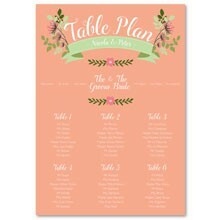 All you have to do is get in contact with us for a bespoke wedding table plan quote.